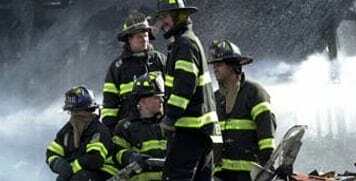 Fire is powerful, but so are the team members of the New York City Fire Department. Through prevention, planning and practice, they work tirelessly to battle fire—sometimes long before a fire ever starts. EQUIPMENT The power of fire demands specially designed equipment that the firefighters keep impeccably maintained and ready to go. TEAM MEMBERS No one can battle fire on their own—it demands that the firefighters work as a team. Learn about the specialized jobs each team member performs. RACE TO FIRE Fire isn't just powerful—it's fast, too. 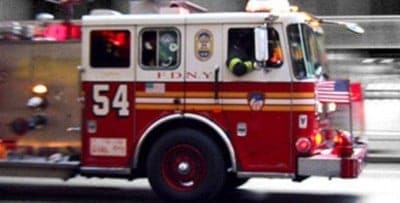 Ride along with an FDNY engine company, and learn just why it's important to clear the road for a fire truck that's racing to the scene. A DAY IN THE LIFE Firefighters don't spend every moment battling fire, but their entire day is spent—in some way—preparing for fire's awesome power. Get a behind-the-scenes look at a firefighter's day. AFTERMATH Battling fire is both dangerous and exhausting, as can be witnessed on the faces of firefighters after they've extinguished a blaze. RESOURCES Fire Safety is important in every day life! Our resources cover helpful guidelines and tips in different languages to help keep you and your family #FDNYsmart.